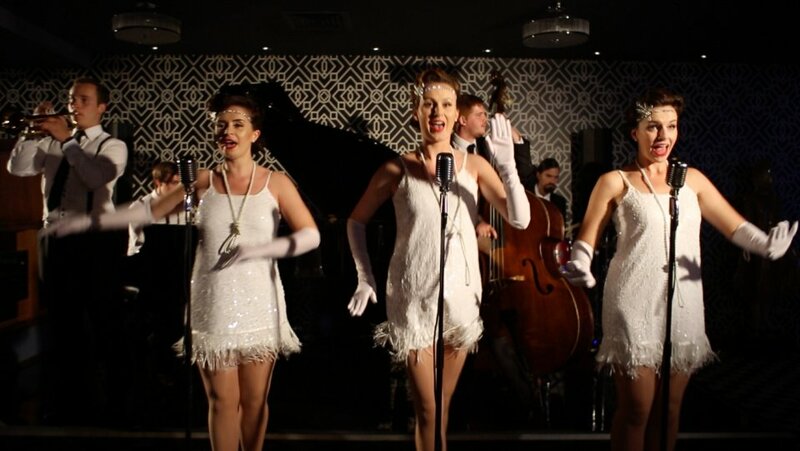 'Putting the Zing in Swing' This stunning Vintage Trio and Jazz band will wow your guests with themed shows from the 1920's and 1940's swing eras to todays pop hits with a vintage twist. 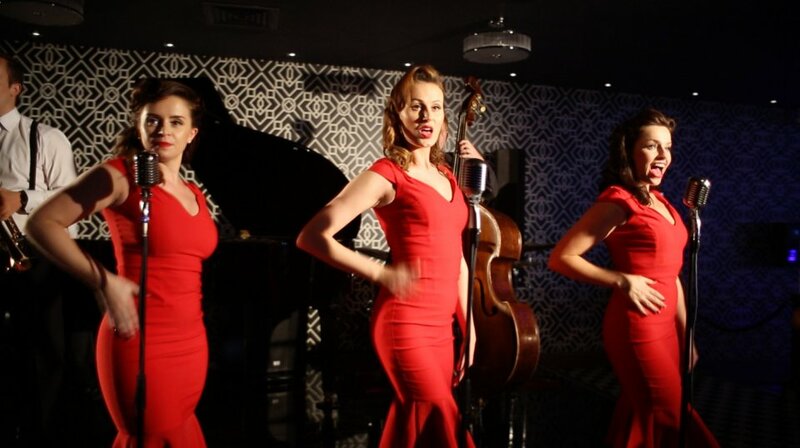 Customisable for your event, brand and budget, The Swingsetters work with backing tracks to a jazz trio or full jazz band. 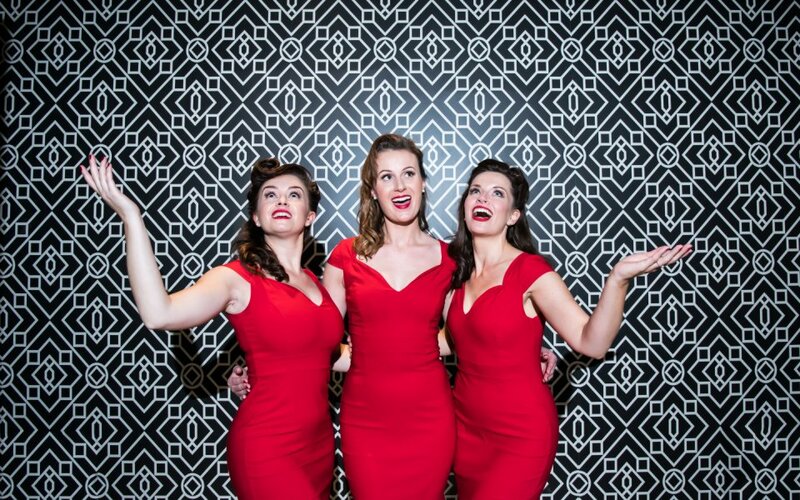 The 1940’s show is a nostalgic mixture of British Wartime such as Vera Lynn & Anne Shelton and American Swing Featuring the beautiful harmonies of the Andrews Sisters and sensational swing of Glenn Miller. 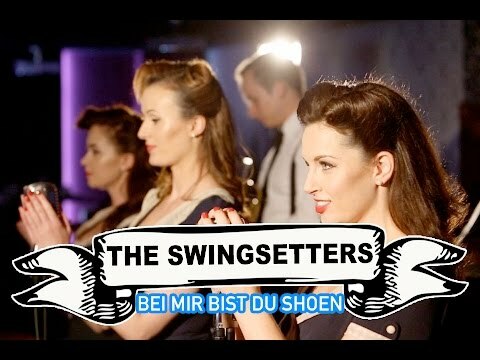 With beautiful costumes and swinging choreography, The Swingsetters will make you want to ’Pack up your troubles and Smile’! 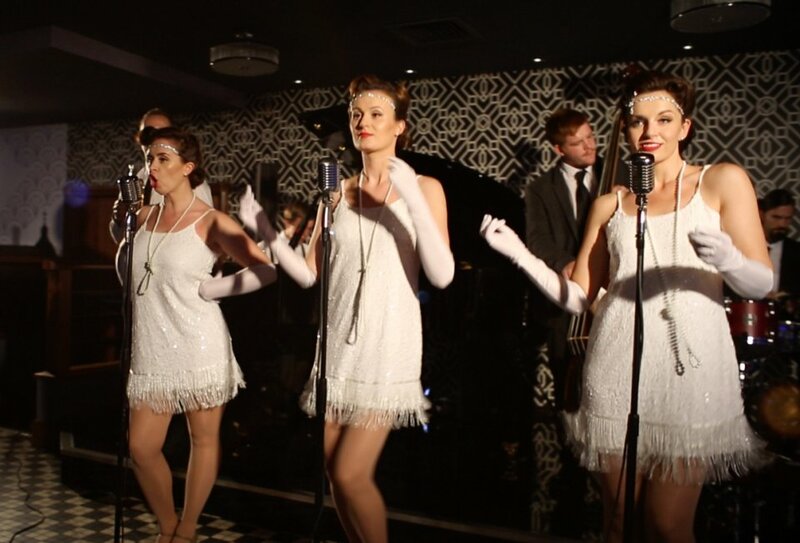 Dance Floor Fillers with a Vintage Twist, The Girls along with their Swinging Jazz Band get the party started with a touch of class. 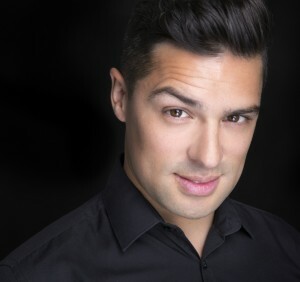 Wow your guests with reworked modern pop hits with a jazz twist! 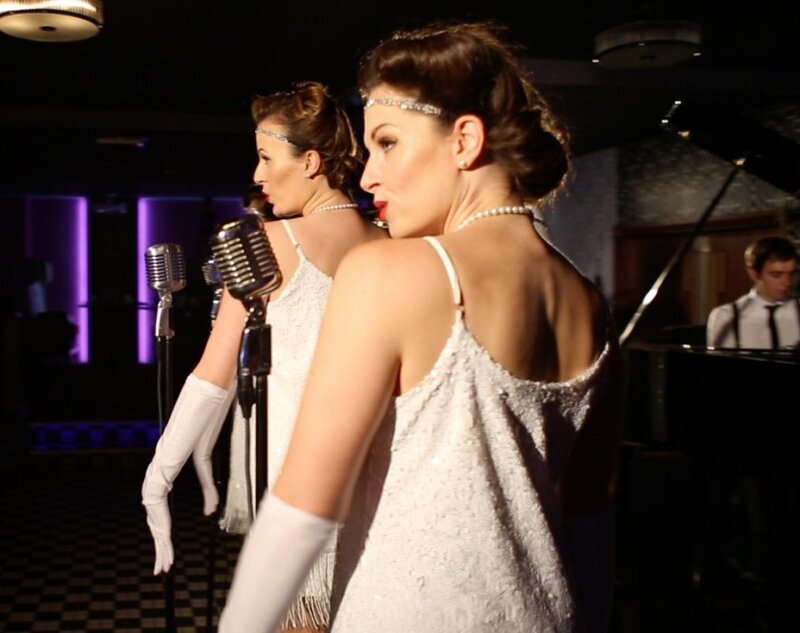 The Great Gatsby Girls perform their 1920’s themed show with a live Jazz Band, it features a mixture of traditional Jazz songs from the Roaring Twenties to Modern dancefloor hits with a vintage 1920’s twist! Putting the ‘Zing in Swing’ The Swingsetters perform popular Swing and Jazz from the 40’s and 50’s with sensational choreography and sparkling costumes. 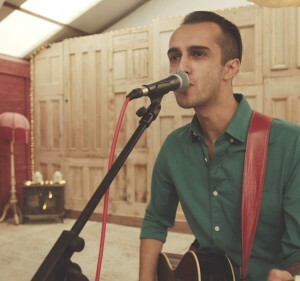 Available with a live band or backing tracks. 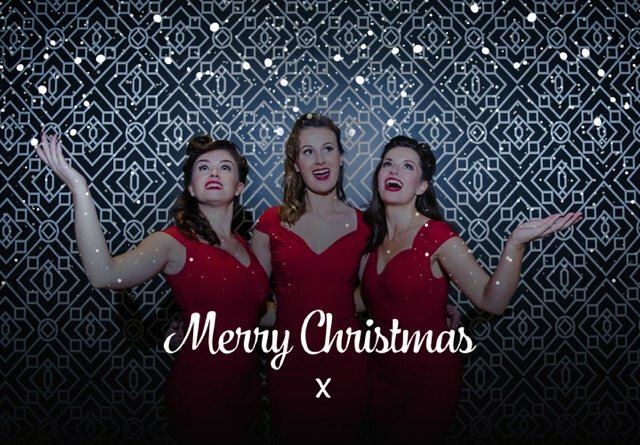 Step into Christmas with The Swingsetters, Celebrating the festive season with your all time favourite Christmas hits. You can mix and match the Christmas set with any of their other shows - Swing, Modern Pop, 20’s or 40’s. Number of Reviews and Counting... 17! 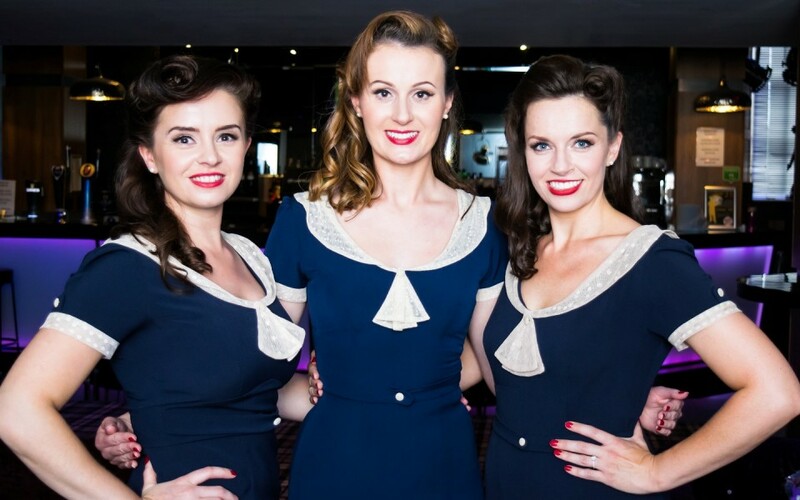 Add the wow factor to your event by booking this dazzling trio, 'putting the Zing in Swing' the 3 gorgeous and talented retro ladies create an unforgettable experience for your guests, that will have them talking for weeks. With stunning vintage replica costumes, red lipstick and Victory Rolls to match, the girls are always looking and sounding tip top. 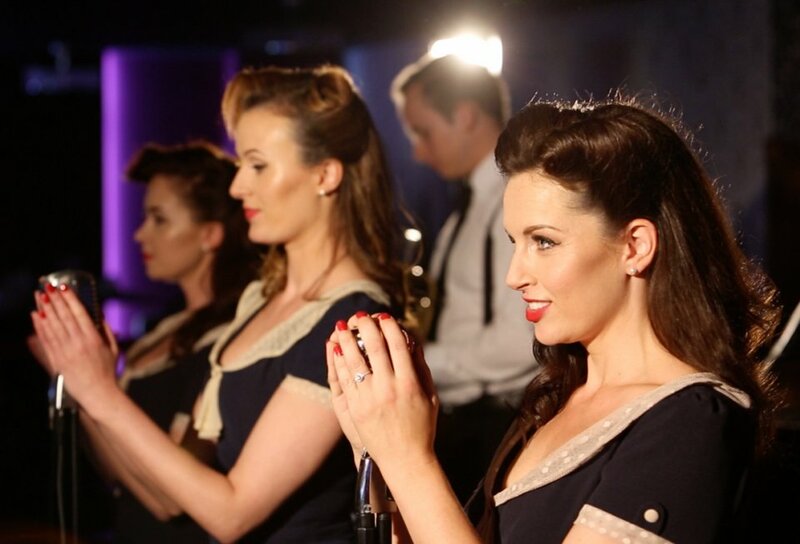 With high energy, slick dance routines and top class musicians The Swingsetters will create the perfect ambience for your event and will get that party started. 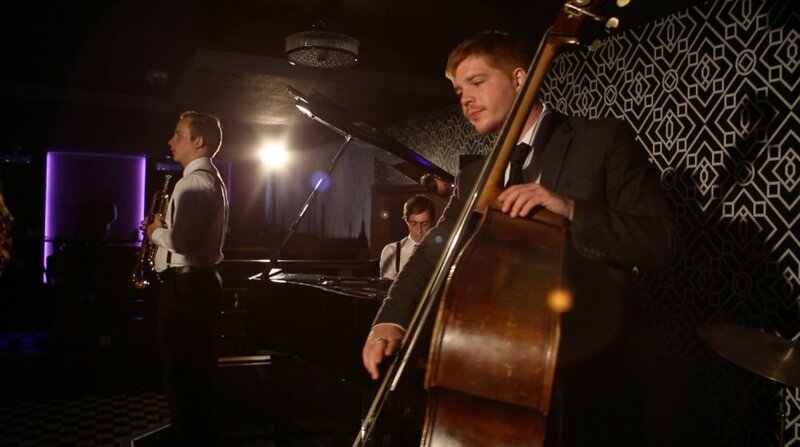 The Swingsetters have a wide repertoire and can perform from 15 minutes to 2 hours. With a live band to suit your budget. 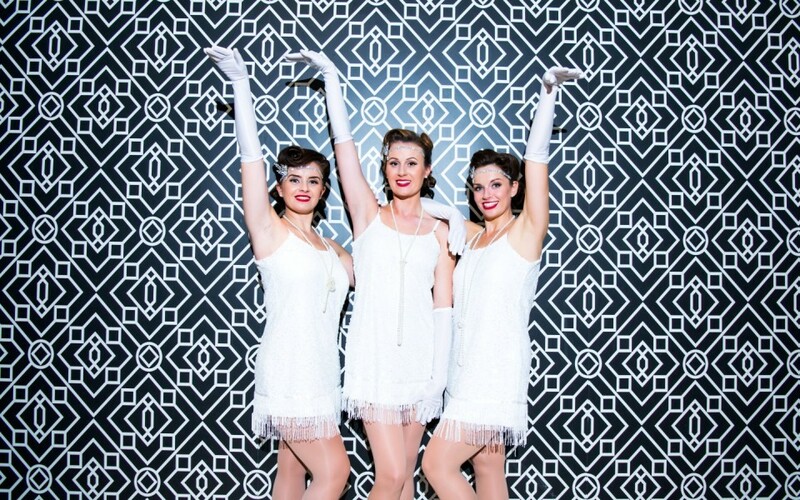 Themed to cater for your event - 1920's/Great Gatsby, 1940's, 1950's, Hollywood, Parisian/Moulin Rouge, Christmas, Modern Pop with a Vintage Twist, you name it - they do it! 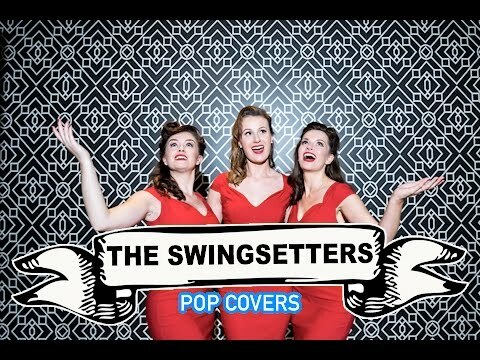 With a repertoire that will take you back and get the party started, The Swingsetters perform a variety of songs with beautiful 3 part harmonies from Traditional 20's & 40's classic tunes such as 'Boogie Woogie Bugle Boy', 'Puttin on the Ritz' to Modern pop hits with a Vintage twist - 'All About That Bass', 'Careless Whisper' 'Girls Just Wanna Have Fun', 'I'm Not The Only One', the list is endless. 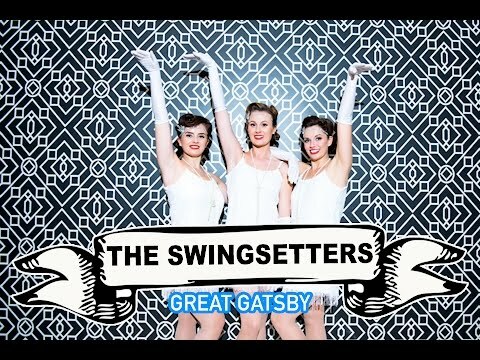 The Swingsetters tailor their music to suit your event, making sure it enhances your theme perfectly. Absolutely superb! The band were great and worked brilliantly with the backing band. I received so many compliments about how great they sounded and looked that I lost count! Really friendly and professional, we couldn’t ask for more really. I would definitely recommend to anyone who wants to add a bit of class to their night. They deserve all the success that is due to them. Many, many, many, thanks!!!! The band and the singer were really good, great atmosphere, very positive feedback from our members, thank you to all of them for making NYE very special. Luc. Girls were amazing, even though the event did not run perfect from our side, as we had some issues with parking and food, but they managed to cooperate with us and looked gorgeous during the event. Also - the voices are amazing! Thank you! The Swingsetters were amazing! I would thoroughly recommend them. 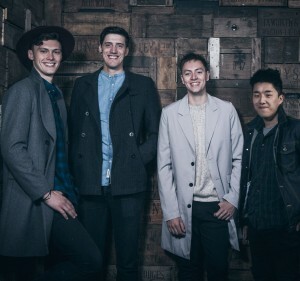 Aside from being friendly, approachable, accommodating and professional, their incredible voices and vintage material really helped to transport our guests back in time. A fantastic performance enjoyed by all. The Nottingham Cancer Research Special Events Committee held a Remembrance Event at The Walled Garden in Beeston, Nottingham recently and what a pleasure it was to deal with Jodie Taylor at Warble Entertainment. 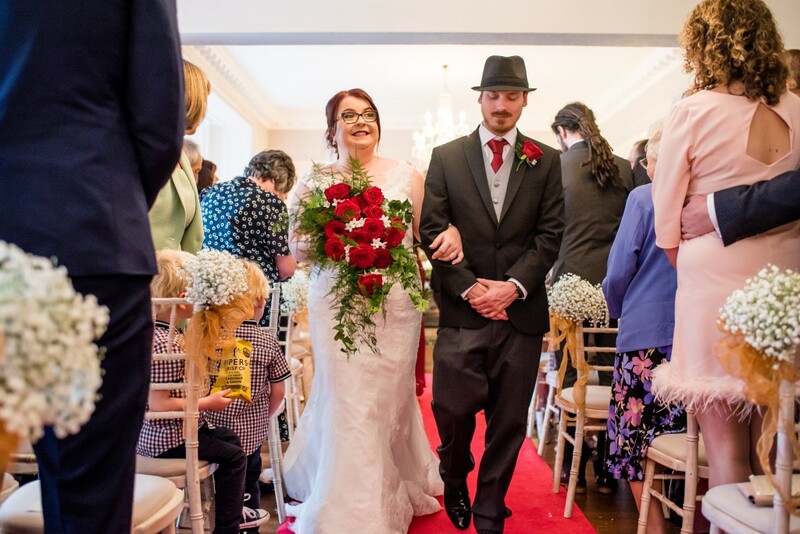 From the initial booking of The Swingsetters, right through to the Event, everything was handled professionally and any queries we had were dealt with speedily and efficiently. 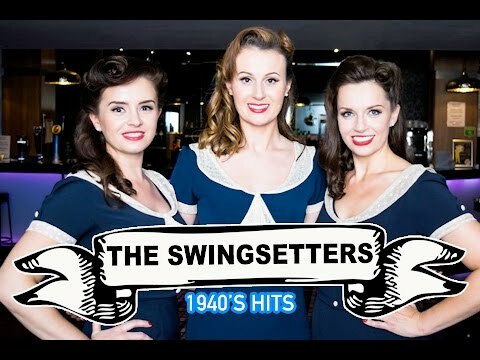 The Swingsetters were absolutely superb, fantastic voices and personalities and so very talented and professional and they tailored everything to fit in with our event. A fabulous evening was had by everyone. The Swingsetters provided entertainment at our wedding reception. They were fantastic and I would highly recommend them!!! So many of our guests commented on how good they were and how much they enjoyed the evening. Thank you again ladies, we loved having you be a part of our day. Becks and Oli. Absolutely outstanding!! The girls were friendly and professional from start to finish making the organisation of the event as easy as possible. Their performance exceeded all expectation and was thoroughly enjoyed by all in attendance. Will definitely be booking again in future!! 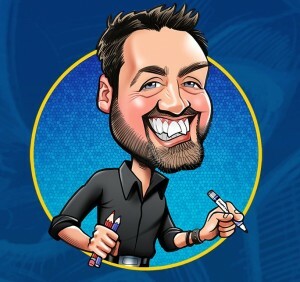 Sam was amazing at responding to any queries I had and organised the act seamlessly. The act themselves were amazing and everyone at the event was pleased with the night. I would use Warble again to book more entertainment for future events. The girls were a joy to have at our event, went out of their way to help the party go with a swing, can’t recommend them highly enough. The Swingsetters help to make a wonderful day even better. I, as Chairman of the Wellingboorugh & District, had lot of positive comments. The Swingsetters were totally off the radar for your ratings. Far, Far better than we had imagined. They were a classy and slick act. Beautiful to listen to and look at. Charming on and off the stage. Our small private party were all so delighted they continually called us the following day complimenting these three lasses. Would we all recommend them?well, absolutely. No hesitation. If they are in our Devon location performing for another (obviously ticketed) party, we would love to know where and when. The Swingsetters were absolutely fantastic - The music was perfect for our event, they interacted with the residents who all had a wonderful time singing along - I cannot thank them enough they really made our event a success - PERFECT 10! The Swingsetters and their band were absolutely fantastic. Would definitely recommend them to others and hopefully may book them again in the future. They were the highlight of the event and our guests loved them. Thank you very much. The band looked and sounded fantastic. They played 1920's/vintage music for our wedding reception, and I had so many compliments on the band throughout the night. They got everybody up dancing and made our reception very special. Thank you to Laura and the band! Thank you very much to Laura and the other The Swingsetters; their performances really added to a fantastic evening! 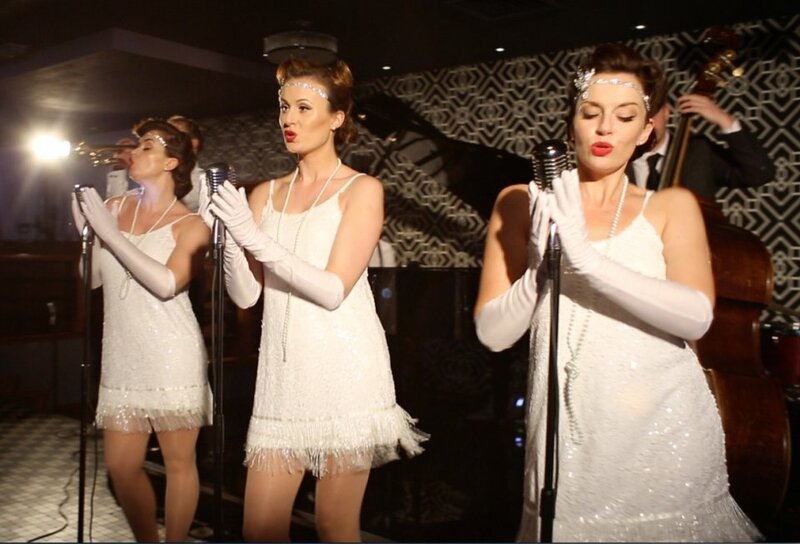 We worked with the 'Swingsetters' on a Great Gatsby event held at the casino. 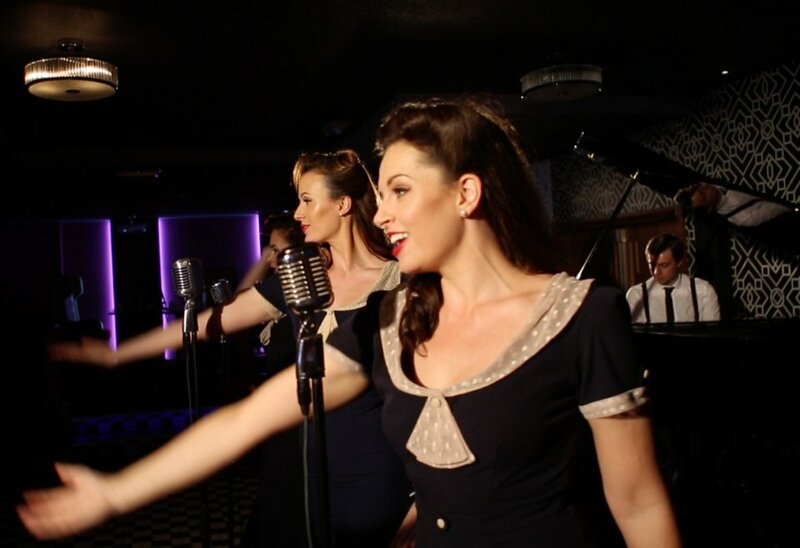 They are a class act that never fails to create an impact, they really got the crowd going with their great selection of music and clever arrangements of pop songs in their own vintage style. The girls looked stunning and together with the band sounded fantastic, all of our guests commented on how amazing and professional they were from start to finish. They created the perfect atmosphere for our event and we will definitely be working with them again. How long do they perform for? We have over two hours worth of material combining all of our shows, normally for each theme we would do 2 x 45 minute sets, or we can break that down to whatever you need! A 1 hour drinks reception set or 4 x 20 minute sets? It's up to you. We can also provise background music in between our sets so there is never a dull moment. 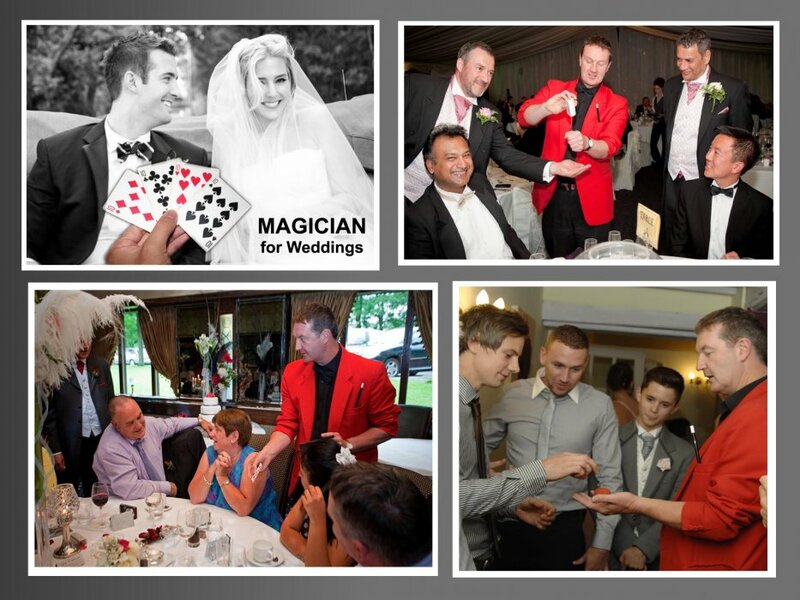 We are very flexible and always try and cater to the clients needs. Anywhere, we require the client to cover travel costs and if abroad, accommodation. Do they provide a PA System? We can provide a PA System for up to medium venues and if your venue is large we can work with an audio/visual hire company and provide quotes for a larger PA system. Can they customize their act to our brand? Absolutely, we love to get creative and style all of our shows ourselves, we would love to combine your brand with our amazing act, we can provide ideas and quotes for customized costumes to compliment your brand. Customers who have enquired for The Swingsetters have also been interested in the following Vintage performers available UK wide. For more information or further options, please call 0845 643 9384.